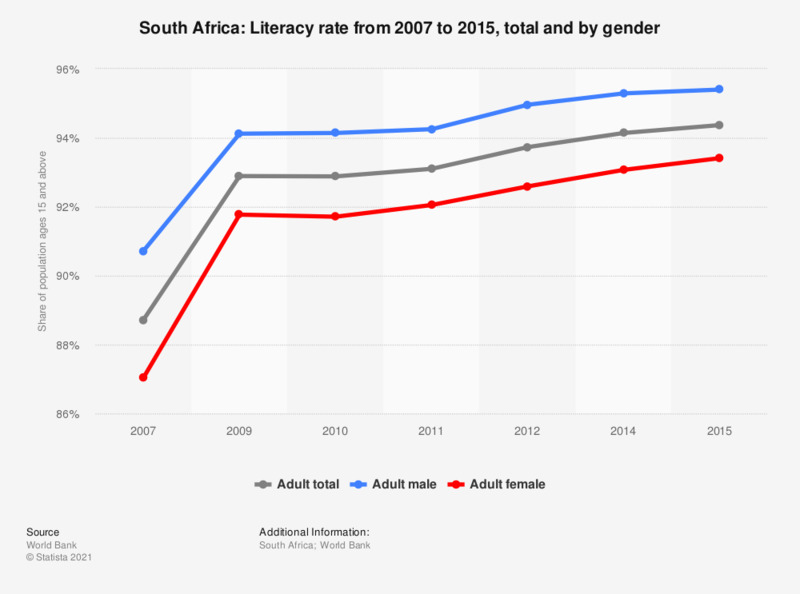 The statistic depicts the literacy rate in South Africa from 2007 to 2015. The literacy rate measures the percentage of people aged 15 and above who can read and write. In 2015, South Africa's literacy rate was around 94.37 percent. The source does not provide conclusive data for 2013. Statistics on "Economic Outlook South Africa"